Only 1d 20h 30m 55s left! Let me see, a bit about myself....hmmmm. Well I am a single 50 year old mother of one. My daughter is 20 and out on her own, so I have a bit of time for myself now. I'm a southern girl from Tennessee. Love home cooking, yard sales, crafting, good movies, flower gardens, play video games or read a good book. Fantasy being my choice in book or video games. Dragon, knights, fairies, gnomes and so on, I love it all. I have been a Poser fanatic for a little over a year now. I love doing digital artwork. It comsumes me sometimes. 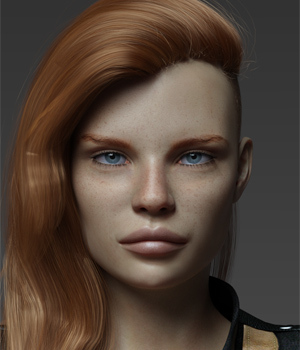 I started out seeing rendered images of 3d artists from my love of video games and PC games. I thought it impossible for me to do anything like that. Too hard, too complex, then Poser came into my life and gave me that freedom. Grown up paperdolls is what I like to call it, but with 3 dimensions. Now, I'm dipping into the deeper aspect of Poser. I will be coming out with my first ever skin mat and morph for Victoria 4. My best friend Liladieni and I are working together to start our own store here on Renderosity. So, please visit my gallery and the store from time to time and check us out. Thank you for stopping by and well wishes.